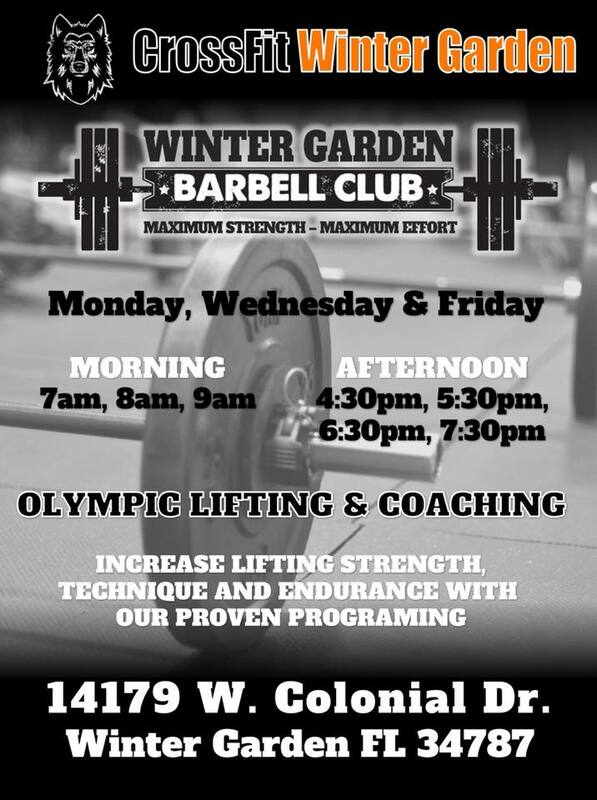 CrossFit Winter Garden is centrally located in the heart of Winter Garden with easy access to all major highways. When you walk into CFWG, you become family, a part of our Wolf Pack. 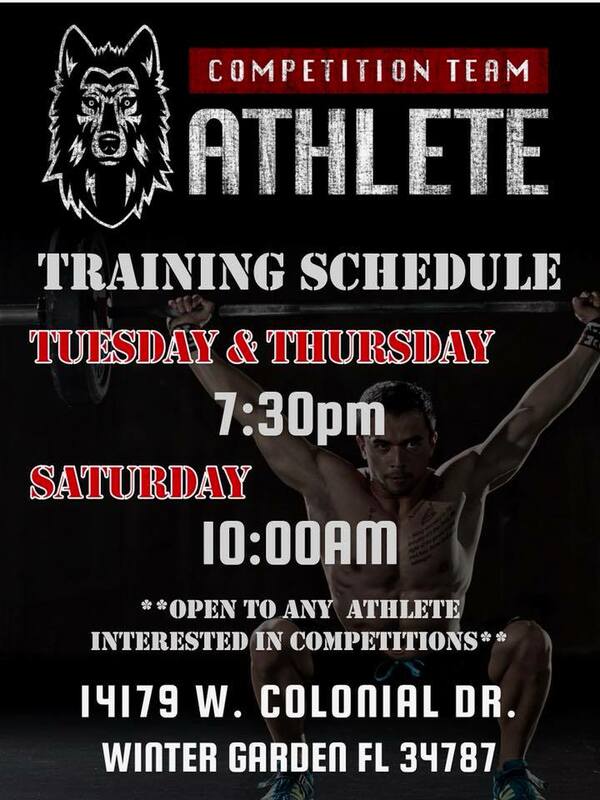 All ages and levels of athletes will become stronger and accomplish fitness goals together with the varied workouts our "Wolf Den" has to offer. We support military, police, first responders and teachers. 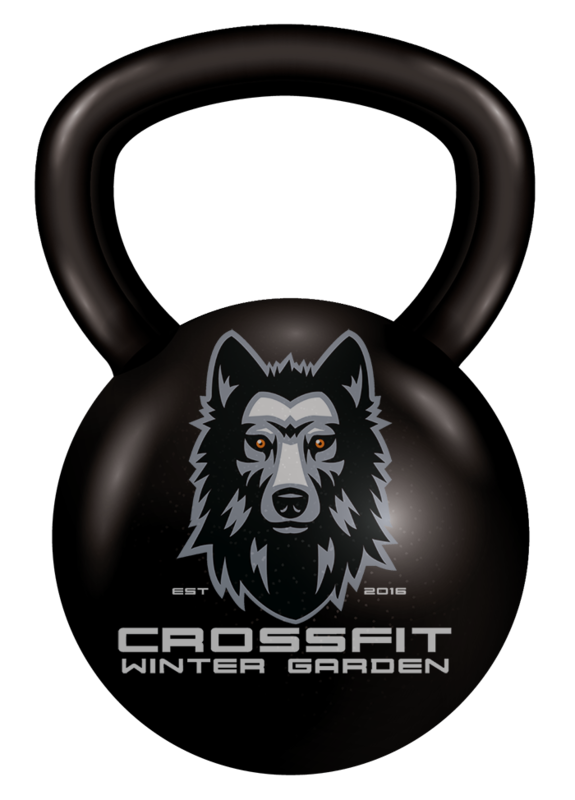 We look forward to you joining our pack, and us becoming your Winter Garden Gym. I am a total newbie to CrossFit and I can honestly say I am disappointed I waited so long to try it out! The coaches at CrossFit winter garden are knowledgeable and supportive. Workouts can be tailored for any and all levels of fitness! Check them out! I'm not new to the workout scene, but I'm new to crossfit. I'm only 2 classes in, but I'm already hooked! I'm tired of the "normal" gyms that didn't challenge me in any way. I'm not a fan of doing the same thing day after day, week after week. Lee really knows his stuff, and he'll push you to your limit. He's made muscles hurt in my body that I didn't know existed. Looking forward to finally getting my body where it needs to be with the help of Crossfit Winter Garden! I'm 54 years old. There are things I can do okay physically, especially for my age and there are things that I need to work on. So far, Lee and Cale have made me feel like I belong in this box. They don't make me feel like they've lowered their standards to allow me to workout here, but they do let me feel like I can work hard enough to be a a proud crossfitter, albeit a beginner, but with the potential to do practically anything I put my mind and body to. My fellow crossfitters are each so supportive. They are very motivating. I am looking forward to seeing where this exciting new journey with CrossFit Winter Garden will take me. YES! No matter if you're a couch potato that hasn't ran in their life, or you run marathons, CrossFit IS for every body. We try to cap our class sizes at 15 people. Even with that, you can be sure that you'll get personalized attention. Doing things fast is one thing, but doing it right is another, and something that we focus on. Why should I go to your gym? There are TONS of Winter Garden Gyms. CrossFit Winter Garden has an amazing community of dedicated people, and some of the BEST coaches around. Why wouldn't you go here? If you're new to CrossFit, we'll put you in our Foundations class. This class is 2 days, and allows us to teach you the ropes and get an idea on your fitness level. Centrally located in the heart of Winter Garden with easy access to all major highways. When you walk into CFWG you become family, a part of our Wolf Pack. All ages and levels of athletes will become stronger and accomplish fitness goals together.